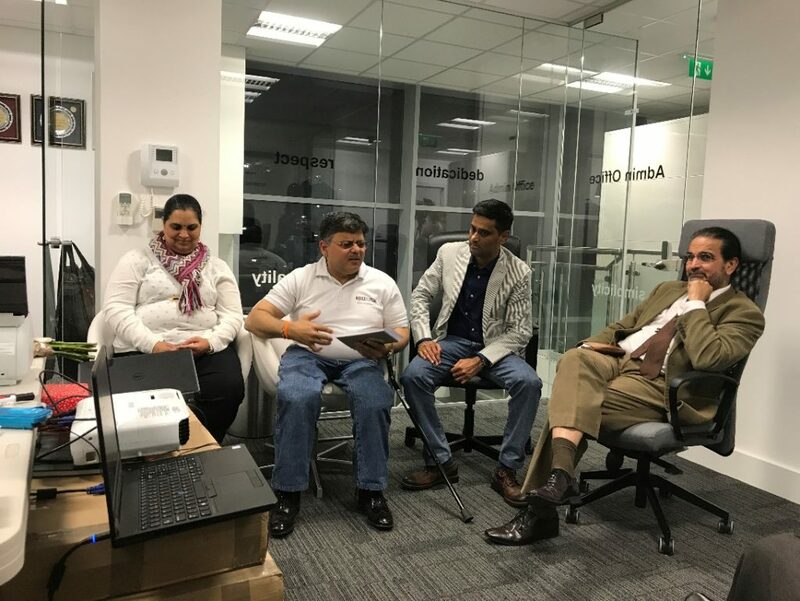 Prominent members of the British Asian community gathered to launch the U.K. chapter of the Voice of SAP earlier this month. Founded by Mr. Pranav Desai the key aim of the organisation is to facilitate the implementation of the goals of UNCRPD (UN Convention on the Rights of Persons with Disabilities), promoting Independent living. The launch event was organised by Dr. Rohini Vijaygopal and Mr. Vijay Vaidyanathan who brought together two great charitable organisations – Voice of SAP and Help Smile Trust, which provides free operations to the needy across the World. The event was hosted at the MACS clinic in Watford. Speaking at the launch event, Mr. Pranav Desai, who is based in Los Angles, USA, made a presentation and shared the vision and mission of Voice of SAP. A polio survivor himself, Mr. Desai’s passionate speech inspired the audience to get involved in the movement. Voice of SAP works to enable Specially Abled People (SAP) to lead enriched lives, where they are tightly integrated into, and are key contributors to society. 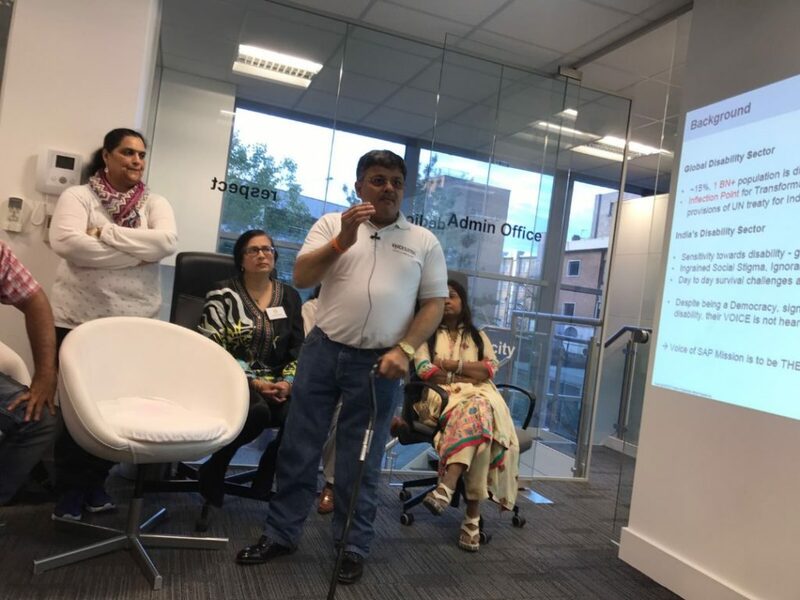 Mr Desai spoke about several projects their volunteers are working on and explained ways in which people could get involved to promote the aims of the organisation here in the U.K. and in developing countries like India using technology tools, mobile app of VoSAP etc. ‘We at Help Smile Trust are very pleased to collaborate with Voice of SAP in furthering their initiatives. Promoting the well being of the communities we live in and of the needy across the World is one of our founding principles.’ said Dr Shailesh Vadodaria founder of Help Smile Trust, who also spoke at the event. The event was well attended, with the huge enthusiasm shown by the youth. ‘It is pleasing to note that doing good comes naturally to the younger generation. We expect them to engage in the cause and use technology, like the VoSAP App to spread the message’ said Dr. Rohini Vijaygopal. The event ended with a very engaging Q&A session followed by canapes. A section of the attendees at the launch event. Youth volunteers of the Voice of SAP UK, with the founder Mr. Pranav Desai, after the launch event.